Beauty is Found in Nature! We hope you can find everything you need. 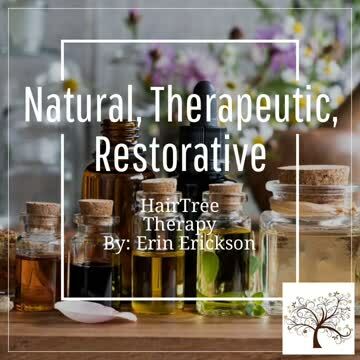 HairTree Therapy is focused on providing high-quality products, service and customer satisfaction - we will do everything we can to meet your expectations. With a wide variety of chemical free beauty related products to choose from, we're sure you'll be happy working with us. Look around our website and if you have any comments or questions, please feel free to contact us. HairTree Therapy Products are made with gentle, organic, clean ingredients and provide outstanding results in all aspects of beauty and for all ages!! Picture silky smooth hair that’s healthy, glowing, and full of life. Our well-made organic hair line helps make all your fantasies come true by healing your split ends, relaxing unsightly frizz, boosting natural sheen and renewing scalp health. Relax and restore after a busy day. Detoxify and exfoliate the skin with beautiful scrub washes. Properly hydrate with our body creams and lotions. Providing a moisture barrier as well as aiding in the healing of minor to major skin ailments. Treat your skin the way it deserves. From exfoliating washes to firming and detoxifying clay masks and creams. Pure ingredients that offer a light and refreshing spa-like experience each and every day. Your youthful radiance returns. Offering natural alternatives to traditional and chemically based seasonal products! HairTree has released a full Bath Line! The most beautiful, pure and "clean" ingredients to promote relaxation, hydration, natural cleansing and soothing effects for the skin and senses alike!! Variety of bath salts, soap bars, bath melts and bath fizzy-clay packs!! We hope to see you enjoy your visit & return again soon! Check back anytime for new updates, up-coming products (which release often) and sales on select items!! There's much more to come!! Questions or Comments--Feel Free to CONTACT US! Shipping Policies have changed for the BETTER! Please view FULL DETAILS at the bottom of every tab/page! HairTree is expanding yet again! Now, as a reiki master, crystal reiki therapist and a crystal energy healer, Erin Erickson will SOON be offering customers and clients an alternative and holistic approach to self care, self love and natural chakra balancing to improve overall health. Going hand in hand with HairTree's natural beauty line, we are here to provide our customers with pure alternatives in all aspects of "self", inside-out!! Updates COMING SOON! Please view "NEW HairTree Energy" tab!